Five UIC nurse-educators were named fellows by the American Academy of Nursing, one of the profession’s highest honors. Martha Dewey Bergren, Constance Dallas, Holli DeVon, Gail Keenan and Shannon Zenk were honored at the organization’s annual meeting last week in Washington, D.C.
Bergren, clinical assistant professor of health systems science and director of the advanced community health nursing program, is a national expert on privacy regulations in school nursing. 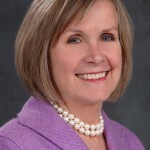 She is widely recognized for her expertise in school health leadership, informatics and outcomes measurement. 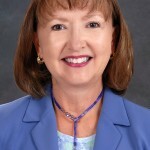 She is a fellow of the National Association of School Nurses Academy and the American School Health Association. 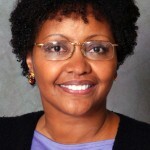 Dallas, associate professor of health systems science, uses a social constructivist approach to examine the contexts and processes surrounding negotiation of parenting in nontraditional families, such as adolescent parenthood and multiple-partnered fertility, with particular focus on black families living in poverty. She is using qualitative methodology to develop a theoretical explanation of involvement for fathers who parent across households. DeVon, associate professor of biobehavioral health science, studies gender variations in coronary heart disease. 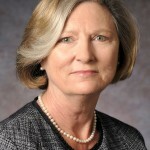 She is principal investigator of Think Symptoms, a multi-site National Institutes of Health study on the influence of gender on symptom characteristics during acute coronary syndrome. Her goal is to help women identify their symptoms and seek care quickly during a heart attack and standardize symptom assessment in the emergency department. Keenan, associate professor of health systems science and director of the Nursing Informatics Initiative, focuses on creating and implementing improvements in electronic health records. She and her research team built an electronic plan-of-care method called Hands on Automated Nursing Data System, or HANDS, to improve the consistency of documentation and hand-off communication. Zenk, associate professor of health systems science, focuses on social determinants of health and finding effective environmental and policy interventions to eliminate ethnic and socioeconomic health disparities. 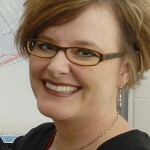 A major focus of her research is how urban neighborhoods and obesity are linked. Zenk is an expert on the food environment and devising innovative ways to measure environmental exposures.